In this program PCFF presents three high-quality, very different films about young people and deafness. “Matilde” and “Through Ellen’s Ears” are about girls of different ages demonstrating how they overcome obstacles that a hearing person might be unaware of. “Hear This!” is told from the perspective of a boy with hearing who has two deaf parents. Together these films offer perspectives that are not often depicted in films. The emotional impact spans from frustrating to heartwarming to inspiring. Tristan, 10, and his family live in Kudelstaart, North Holland. Their family is an unusual one because both Tristan’s parents are deaf, while Tristan himself can hear just fine. Tristan is great at talking to deaf people, but other people find it difficult or sometimes even uncomfortable. This stands in the way of Tristan’s father becoming the coach for Tristan’s football team. The club says his father can never be a good coach. Tristan thinks that’s nonsense. His father is a brilliant football player; he even plays for the Dutch national team for the deaf. Tristan is confident that his dad would make a good coach and that his team members would feel the same way, if he were just once given a chance to prove himself. 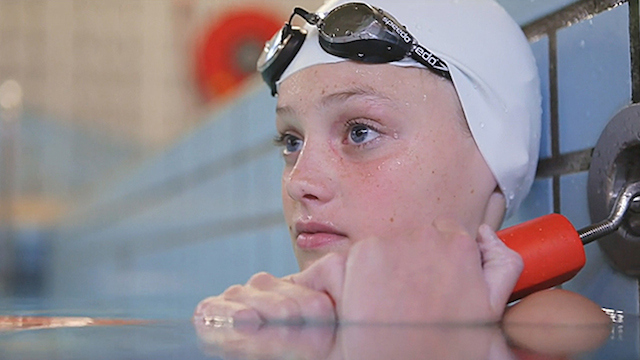 Eleven-year-old Ellen doesn’t speak with her voice but with her hands. She uses sign language because she is deaf. Ellen has to decide which secondary school to attend. She doesn’t want to go to the boarding school for the deaf like other deaf children. She would much rather go to an ordinary school or to the school for the hard of hearing, just like her best friend, Myrthe, who is hard of hearing. But will she be admitted there? Though Matilde tries hard to focus in class, she still struggles to follow the teacher’s lessons. Inspired by her mother’s hair salon and her daily walk by the local tennis courts, Matilde decides to take matters into her own hands and create a learning environment that suits her needs.